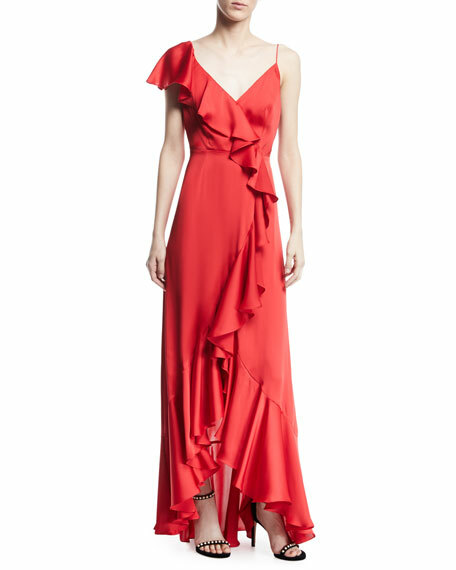 Jill Jill Stuart gown with draped ruffle detail. Approx. 54"L from shoulder to hem (size 4). For in-store inquiries, use sku #2496632.